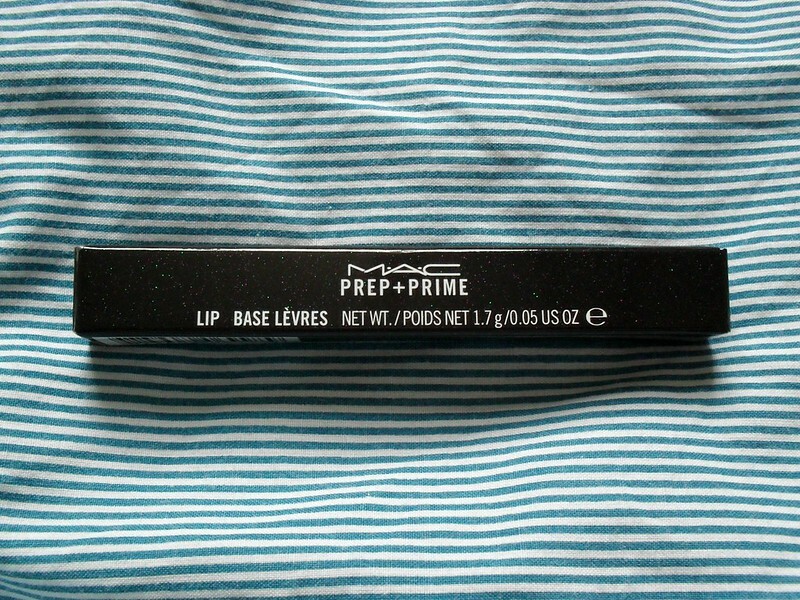 The MAC Prep+Prime Lip Base is a product I had been meaning to buy for about a year. It was used on me for a photo shoot and I made a mental note to pick it up because I loved it so much. The make up artist used just lip liner on top and I was amazed at how the liner lasted and didn't feel drying on top of this base. I eventually bought it at the airport in May and used it almost every day since and I just repurchased it last week as I couldn't be without it. If you wear lipstick on a regular basis, you should definitely think about trying this. If you wear matte or long lasting lipsticks on a regular basis you absolutely need this. It's one of those products that once you've been using it for a while you can't remember how you lived without it. 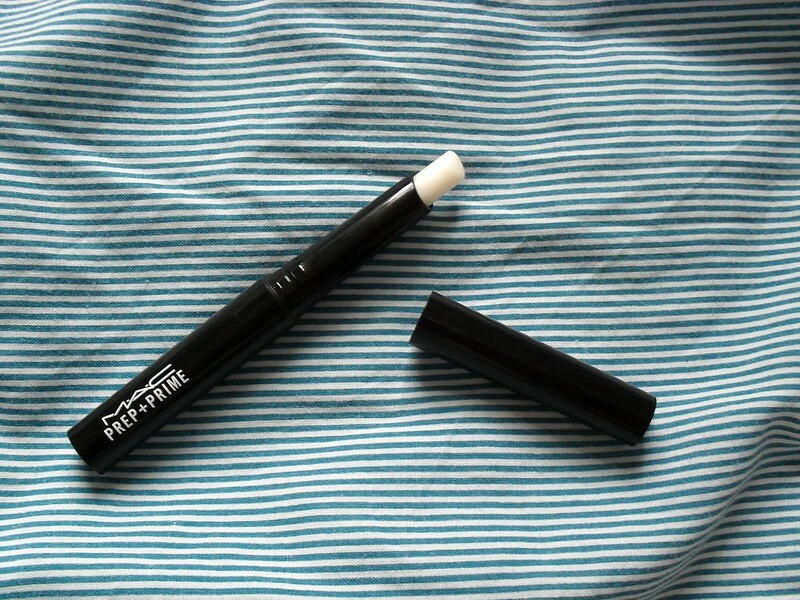 It comes in sleek, slim packaging and is like any lip balm you just pop it on straight from the tube. It has a gorgeous vanilla scent and glides on smoothly. The texture is similar to a light lip balm but after a couple of minutes it dries a little and that's when I apply my lipstick. It acts in the same way a foundation primer would in that it prepares the skin for the product used afterwards and improves the appearance and longevity of the product. I have found that using this under my lipsticks helps them to last longer without having to reapply, it also helps with feathering and gives my lips the hydration they need so that the lipstick is comfortable to wear for hours, especially matte lipsticks like the MAC ones. If you want an even longer lasting result, you could use this under lip liner and lipstick and I can't imagine your lipstick would budge. It would be a great investment for anyone who likes to wear lip liner alone but hates that dry feeling it can have on the lips. I generally don't wear lip liner because I feel like it changes the colour and finish of the lipstick unless you have the exact match from the same brand and that could be quite expensive (considering the amount of lippies I own). At €17, I think it's worth every cent. I wear lipstick almost every day and most days I choose a colourful shade like red or pink so I think any product that improves the look and feel of the lipstick and makes it more comfortable for me to wear for hours and not have to reapply is worth the money. If you don't wear lipstick that often and you don't mind wearing liner, then you probably don't need this, but if like me you are a lipstick fanatic, I can't recommend this highly enough. Do you prime your lips? or do you think it's a step that can be skipped? Ooh, sounds great! I generally just rely on lip balm to 'prime' my lips but this sounds a cut above. It's definitely worth having for anyone who is into lipstick, makes such a difference! This is a step I never really think about but I think I may need something like this if it really makes a difference! This lasted me 5 months of almost daily use so it's definitely worth it for days when you need your hippie to last! Hi Emma, I got the product after our last meeting when you recommended it to me. I use it for few months now and I must say it is an awesome primer. It keeps the colour fresh and intense for long. I can eat, drink and it still stays on! :) I love it! So glad you like it Marta! I've been telling everyone I know to get it! Such an interesting concept ... I don't believe I would ever shell out that much for a lip primer, but your glowing review has me rethinking that position! I guess if you do wear colourful lipsticks daily, then it would be a good investment. Just like a makeup brush, eyelash curler or eyeshadow base, sometimes it's the right tools or prep products that take the actual makeup product (which we spend most of our money on) to another level. This one from MAC sounds like a winner in that regard!